Dr. McCoy was the defense expert in Tennessee's first Court TV (now TruTV) case, TN vs.Michael Frazier. She was involved in a second nationally televised trial involving dissociative identity disorder, appearing on Diane Sawyer's televison program, "20/20," in conjunction with TN vs. Thomas "Dee" Huskey. Her third TruTV case, TN vs. Kenneth Taylor, involved the defense of a foster parent accused of the First Degree Murder of an adolescent foster child. Dr. McCoy was one of the first mental health professionals in Tennessee to do court ordered child custody evaluations, beginning over 30 years ago, and continues doing this work. She was awarded a large, unsolicited grant by the Tennessee Department of Human Services to work with abused children. She has been involved in a wide range of personal injury litigation including sexual harassment and employee discrimination for both plaintiff and defense. 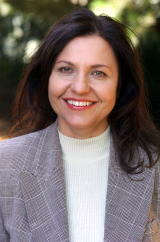 A consultant for the Knoxville Police Department, Enhanced 911, Tennessee Department of Human Services, Florence Crittenton, The Tennessee School for the Deaf, Agape Group Homes, Peninsula Hospital, Disability Determinations Services, Overlook Mental Health Center, and Knox County Juvenile Court, Dr. McCoy has enjoyed a wide range of experiences relevant to the legal system.